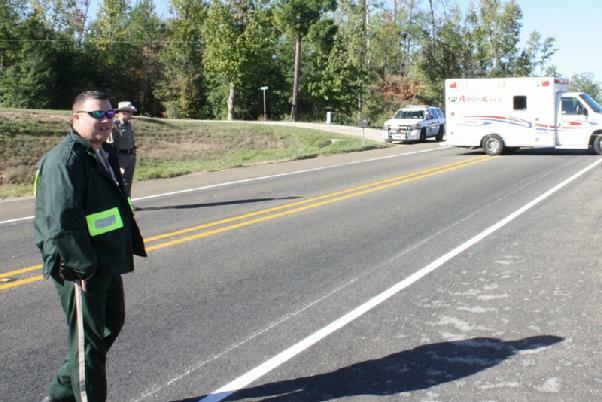 Sergeant Jasson Paske with the Polk County Sheriff's Office helps control traffic at the scene (Trooper Ramey Bass in background). 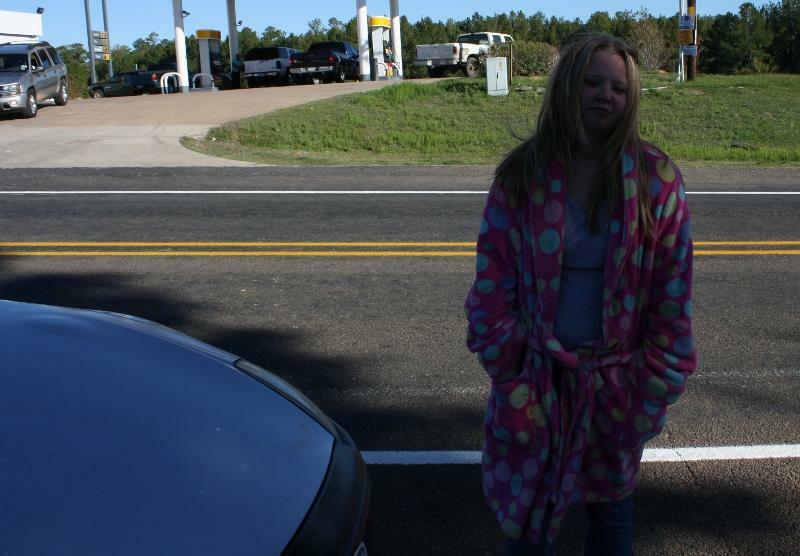 Pedestrian Hit by Car Near Corner Shell, LIVINGSTON, November 5, 2011 - At approximately 9:35 am on November 4, 2011, Haley Crew, 19, of Livingston, was northeast bound on FM-2457 near the Corner Shell at US-190 West. Crew couldn't avoid striking a man that was suddenly in her path, the man was identified as Walkingman Roberts May, 62, of Livingston. Haley Crew's 2000 Mitsubishi Eclipse struck May and sending him a short distance from her vehicle. Americare Ambulance Service was dispatched to the scene along with Sergeant Jason Paske with the Polk County Sheriff's Office and DPS Trooper Ramey Bass with the Texas Highway Patrol. During the collision, May fell into her windshield crushing the windshield. May was allegedly chasing his dog. 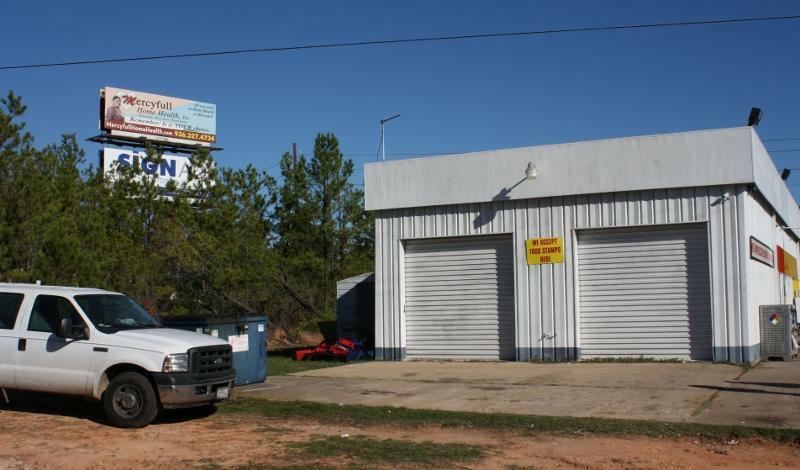 According to witnesses, May lived in a small patch of woods behind the Corner Shell. Haley Crew was visibly distraught at the scene, but was otherwise not hurt. Walkingman May was transported by Americare Ambulance to Livingston Memorial Hospital. May reportedly had a broken arm, a broken leg, and was bleeding from the head. Haley Crew's vehicle was drivable and was driven from the scene. No citations were issued in the incident. 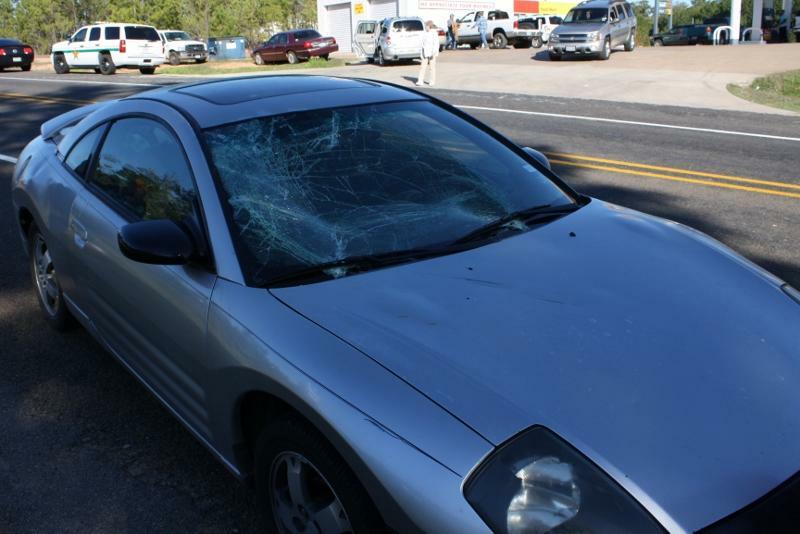 Haley Crew's 2000 Mitsubishi Eclipse has a caved in windshield after her car struck a pedestrian. The pedestrian was indentified as Walkingman Roberts May. May reportedly lived in a small patch of trees (pictured at left) behind the Corner Shell gas station. Driver Haley Crew was clearly distraught, but otherwise uninjured.